Get a permanent(as long as your book is live on the bookseller) listing for your book on our website. Our site is perfect for advertising your steamy romance that has a steam level of 3, 4 or 5. The hotter the better! Our readers are looking for heat and steam and love a good romance. Included in your listing is a permanent spot on our website in the appropriate categories. Your book will be shared with all of our social media. Your book will be considered for a slot in our email blast as an Editor’s Pick. To guarantee a slot in our reader’s newsletter and on our home page please check out our advertising options. Each book listing page has a unique url that you can share with your readers. There are social media sharing buttons right on your book page. 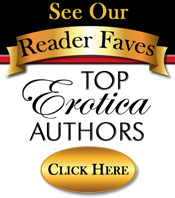 Send your readers over to your book page on our site to leave comments that will help other readers find your books as well. Having your book page on our site will help readers looking for hot romance find you and your books. Rank your book according to our steam ratings. If your book is a steam level lower than 3 please list it on our Romance Hideaway site instead. Our readers are looking for heat level 3, 4 or 5 books. Please do NOT put your Amazon link here again, only your link to your book on CreateSpace. A link to a SEARCH for your book *will not work*. We will use the Amazon ASIN for your book to create a link to Amazon via our Universal BookGoodies Amazon link which will direct buyers to the Amazon site for their country. Not Required! Choose only if applicable. Steamy Romance Books has my permission to post this material to its own site, to NightFire Publications or other websites that are specific to the books reviewed. I also give my permission for the BookGoodies Network to use my submission in any compilation books they may publish of book posts in the future. Permission extends to posting to social media owned by BookGoodies Network and NightFire Publications as well. By checking this box you also are verifying that this work is yours and under your copyright. We reserve the right not to publish books at our discretion. Our decisions are final. No public domain or plr books will accepted.